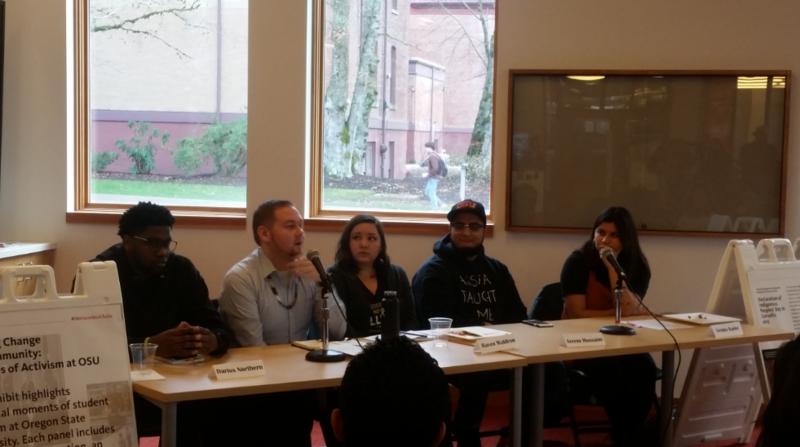 MLK Jr. Week featured a panel of current and former OSU students who have spearheaded activism at OSU. The students shared their recent experiences with using speech and activism to initiate change on campus. 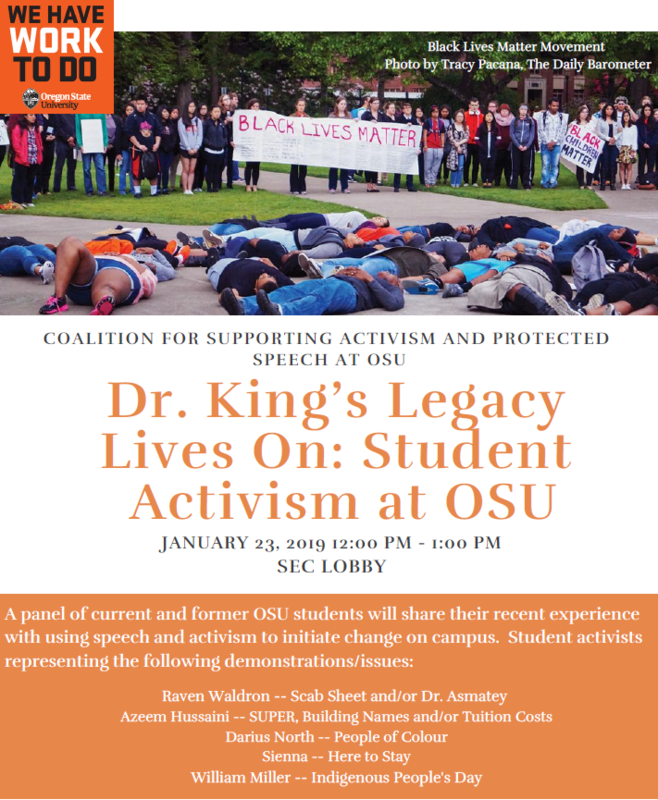 Among other things, panelists detailed their experience with activism at OSU, the barriers or challenges they experienced and their advice for student activists concerning organizing, cultivating relationships, and building coalitions. 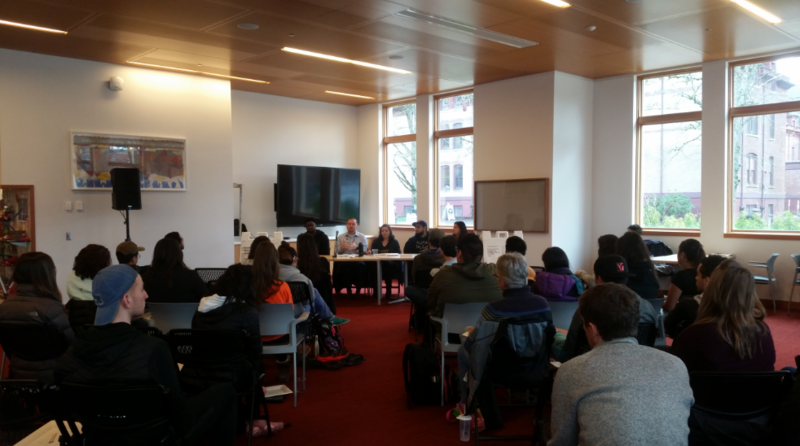 The event was made possible through a collaboration between the Office for Institutional Diversity, the Coalition for Supporting Free Speech and Activism, and the Community for Responsibility and Belonging. The OMA was there to record the panel! There were about 70 people in attendance at the event! This entry was posted in OMA. Bookmark the permalink.